#CallYourMom and support breast cancer research. 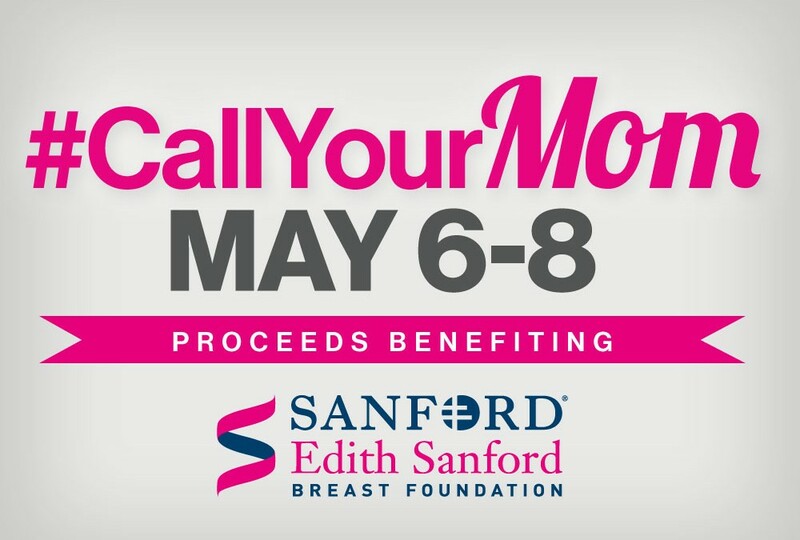 CellOnly is proud to team up with the Edith Sanford Breast Foundation to help end breast cancer with a Mother’s Day promotion that’s sure to make your mother smile. You’re invited to show your support for the cause, too. During Mother’s Day weekend, May 6-8, when you come into one of our stores at either 41st Street or Dawley Farms in Sioux Falls and call your mom, you will receive 20 percent off one accessory. CellOnly will also donate $5 of the purchase to the Edith Sanford Breast Foundation. One hundred percent of the money raised will be invested directly in breakthrough genomics research to help find the cures. Faster. The Edith Sanford Breast Foundation is a national nonprofit focused on unlocking the potential of genomics to transform breast cancer prevention, treatment and survivorship – and ultimately raise the standard of breast cancer care for women and men everywhere. To ensure everyone can do their part and contribute to the cause, qualifying calls can be placed to any mom – that includes grandmothers, aunts, sisters and friends who are lucky enough to be moms. The Edith Sanford Breast Foundation is pioneering a bold new comprehensive approach to breast cancer, with a mission to unlock each woman’s genetic code, advance today’s prevention and treatment, and end breast cancer for future generations. To learn more, please visit edithsanford.org. Committed to “underpromise and overdeliver,” CellOnly has 35 locations throughout Kansas, Iowa, Minnesota, Missouri and South Dakota and offers cellular phones, 4G Internet devices and business services to individuals, families and companies throughout the Upper Midwest.